Force equals mass times acceleration – or in the case of NASA and JPL planning for a landing on Mars – deceleration. 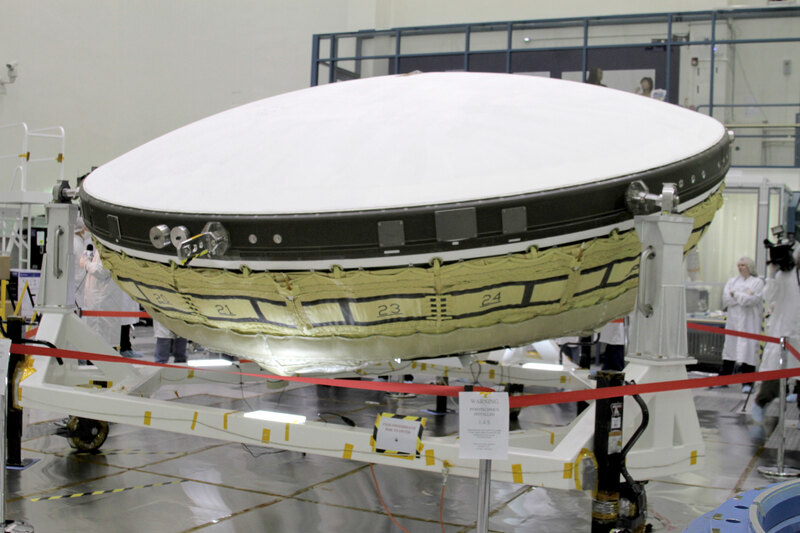 JPL is currently in the testing phase of the LDSD (Low-Density Supersonic Decelerator) for future, larger load trips to the Red Planet. The current limit of parachute and deceleration technology has been reached with the most recent rover programs, Curiosity being the largest at about the size of a small SUV. For the future, we need to be able to land much larger objects on Mars safely so that we can build habitats for the first manned missions. This first step in increasing payload options is a small step, only increasing the payload from the current 1.5 metric tons to 2-3 metric tons. But considering the current deceleration system is the same one we’ve been using since the Viking days forty years ago, it’s time for an upgrade. The larger the mass, the greater the force needed to slow it down. The engine of that force is friction or “atmospheric drag”. While Mar’s atmosphere is much thinner than our own, it does exist. 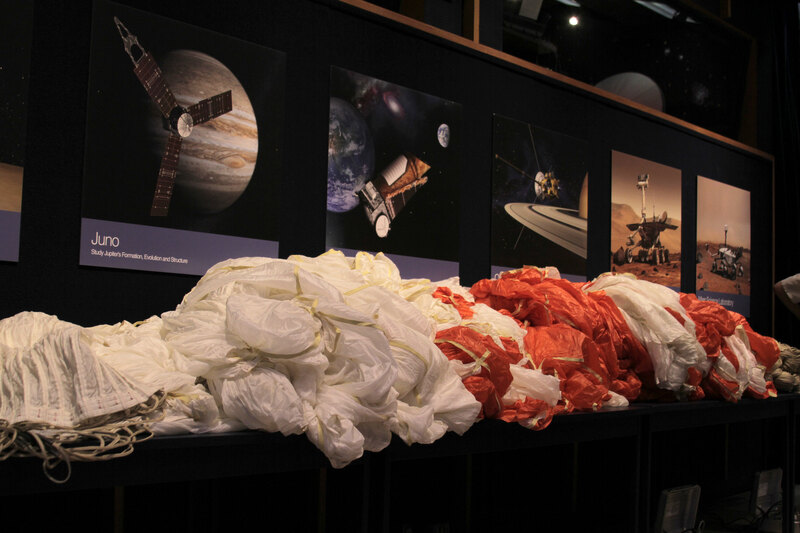 And so JPL is working on much larger parachutes. The larger the parachute, the more surface area to create more friction and deceleration. It seems like such a simple thing; just build a bigger parachute. Well, sadly, it’s not. The parachutes JPL needs to build and test are too big for wind tunnels and so they have to work out inventive and complex ways to test the new chutes and make sure they work out any flaws. The first test involves flying the parachute, attached to a line, over a kilometer above the ground via helicopter, releasing the parachute where a rocket sled explodes to life, pulling the parachute back down to ground at great speed and force. And it’s a good thing JPL is testing this, as the first run through showed a flaw when the parachute split open on one side. But the parachute test is only half of the LDSD program. The other half is the first stage of deceleration, the inflatable aerodynamic decelerators. Basically a large ballon structure inflates around the circumference of the payload, sort of like a donut ring or inner-tube that increases the surface area of the payload, causing more friction. This first stage is projected to slow the payload down from Mach 3-4, down to Mach 2 when the parachute deploys, further slowing the vehicle down to subsonic speeds. The two stages together will be tested next month in Hawaii and if every everything goes well, there are hopes that they will be ready for missions starting in 2018. To learn about the LDSD system, visit http://www.nasa.gov/mission_pages/tdm/ldsd/ as well as watch the videos featured below.